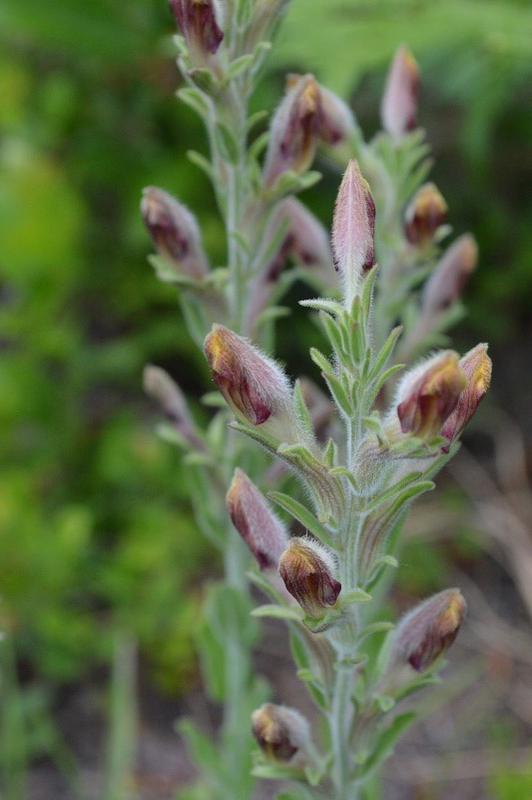 (18/P069) TRENTON – The Department of Environmental Protection has high hopes for steps taken this year to improve the survival chances for New Jersey’s last remaining wild population of American chaffseed, a flowering perennial herb with highly specialized habitat needs. The species’ last stronghold is in a state forest in the Pinelands of Burlington County. To restore the habitat at the Burlington County location, the New Jersey Forest Fire Service in late winter conducted a prescribed burn, then the New Jersey Forest Service thinned the surrounding trees to increase sunlight. Volunteers from the New Jersey Conservation Foundation and Pinelands Preservation Alliance also manually cut back competing shrubs. Duke Farms in Hillsborough also contributed by propagating at its site plants from seed collected at the wild population. The New Jersey State Forest Nursery in Jackson has been working to propagate plants to aid in re-establishing this rare species. The project is being overseen by the DEP’s Office of Natural Lands Management. The Burlington County site has more than 80 American chaffseed plants. Resembling a snapdragon, American chaffseed (Schwalbea americana) needs open meadows with sandy and acidic soil as well as nearby wetlands. Seeds of American chaffseed also require contact with the roots of a host plant to germinate. Known host plants in New Jersey include Maryland golden aster, inkberry and dwarf huckleberry. The American chaffseed is listed as endangered by the state as well as the federal government. The biggest threats to American chaffseed across its range include development, mowing and suppression of wildfires that are needed to remove competing understory vegetation. At one time, the species was found in 16 states from Massachusetts to Louisiana, and as far west as Kentucky and Tennessee. Today its range has diminished to spotty populations in eight states along the Atlantic and Gulf of Mexico coasts. The New Jersey Forest Fire Service provided expertise in managing the controlled burn at the site that was essential for restoring the habitat to a grassland-type ecosystem. The Forest Fire Service annually conducts extensive prescribed burning operations that reduce the risk of massive wildfires that could threaten lives and property while keeping ecosystems healthier. Many of these operations are focused on the Pinelands.